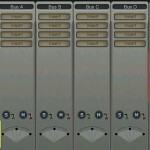 Tags: Classical music production techniques, MIDI music production techniques. REAPER supports MIDI and virtual instruments. This makes it very easy for you to start creating music using your favorite virtual instrument or edit existing MIDI projects. a.) 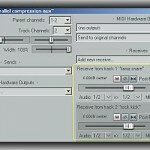 Understanding the basics of MIDI rendering. b.) 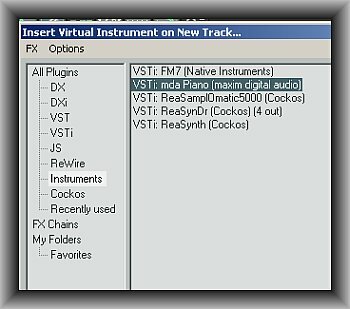 Adding or installing a virtual instrument. c.) Composing MIDI music using built-in editor. d.) Exporting the original MIDI track as WAV file or MP3. e.) Importing existing MIDI, do some routing and isolation of MIDI tracks. 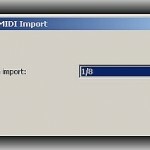 By its very basic nature, a MIDI file (with file extension .mid) is nothing but digital data stored in your computer. Unlike a real musical instrument recording done in analog domain (using an audio interface) that is then converted to digital file as WAV; a MIDI file does not contain any information about the real sound of its instruments. What it does contain are musical notes represented in digital form. 2.) Download this sample midi file to your Desktop. 3.) Let’s import the MIDI file. Go to Insert — > Media File then locate moonlight_sonata.mid. If you see the MIDI file export options, just click OK. 4.) Now position to the start of the file and hit the PLAY button. You will notice that there is no sound coming out. Why? It is because MIDI is simply a data and is not a recording of a musical instrument. To play a MIDI file, you need to add a virtual instrument appropriate for the music. In the above example, since Moonlight Sonata by Beethoven is a piano sonata piece. You need a piano virtual instrument. 1.) Supposing you will use mda Piano V.1.0 which can be downloaded here. 2.) Download the exe file to your desktop and install it (by double clicking). By default, it will be installed in Steinberg VST plug-in directory. 5.) Launch REAPER and then go to File – New Project. 6.) Let’s insert the mda Piano virtual instrument. Go to Track — > Insert Virtual Instrument on New Track. 7.) You will then see several installed VST virtual instruments. Select or highlight mda Piano. 8.) Simply use its default settings then close the FX dialog box. Take note that it is set to record mode by default (record button enabled to red), this is normal. 9.) Now it’s the time to import the MIDI file. Go to Insert — > Media File and locate the test MIDI file moonlight_sonata.mid; in the “Midi file Import Options” just click OK. 10.) Now hit the PLAY button again and switch the volume of your audio interface/soundcard to around 50% maximum, you should now be able to listen to the MIDI sound output.